As more players enter the mobile game, sustained acquisition and engagement is increasingly difficult. According to technology marketing company Fiksu, the cost to secure a loyal user for a mobile app is approximately $3.50, and that’s only for app users. Fiksu also noted that the majority of smartphone users will only spend their time in a small number of apps, so it’s important for developers to know who they should target for advertising. How to get and keep mobile users is the biggest challenge facing marketers today. Understanding effective engagement strategies and knowing when they work and when they don't can keep even the most Zen marketing beast awake at night. However, getting and keeping users is more than just bells and whistles. Increasingly savvy customers are less willing to click on buzzy flashing ads, and the smarter marketer with a more sophisticated reading of the consumer wins. From localization to custom content, marketing 3.0 requires data and user intelligence. This webinar will help you kick your user acquisition into high gear. 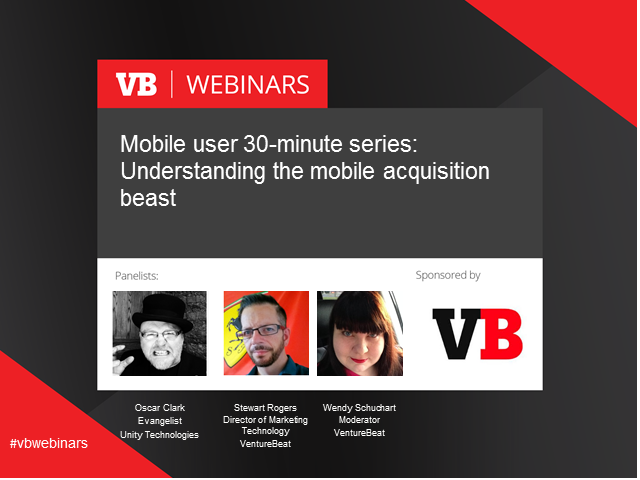 Register today for this informative 30 minute webinar on mobile user acquisition.